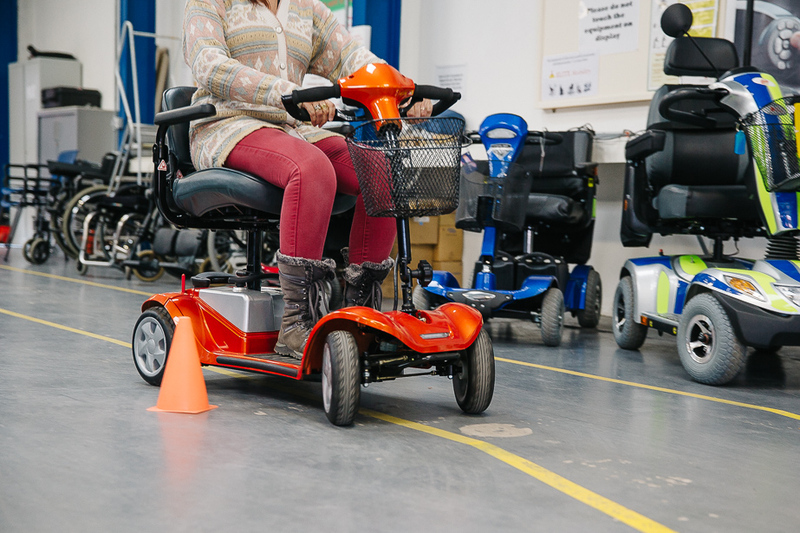 Many people with mobility problems find using electric mobility scooters hugely helpful. For local trips to shops and other amenities, a scooter can be much more convenient. People will often refer to the Centre for impartial advice on identifying and choosing the right scooter for their needs before buying one, having maybe tried one at a supermarket or used a Shop Mobility scooter at a shopping centre. However, mobility scooters do not suit everyone and the assessment will include using the scooter indoors along with safe pavement use and crossing roads. Advice can also be given on loading scooters into vehicles and storage at home. Please note, this service is available by appointment only, and we do not sell anything here.